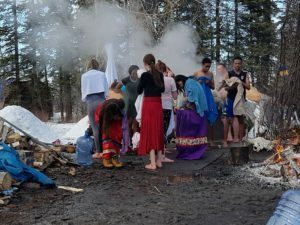 This March, two students from Vista Virtual School (VVS) participated in the annual SEEDS Connections program—a week-long camp for high school students from across Alberta. The camp, a full-immersion opportunity, focuses on developing teamwork and leadership skills—presented from a multicultural perspective, and highlights environmental stewardship. 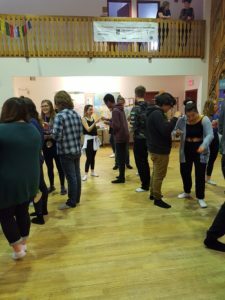 The program started in 1987, as a way to connect with others—face-to-face—and create positive change through a blended and cross-cultural experience. 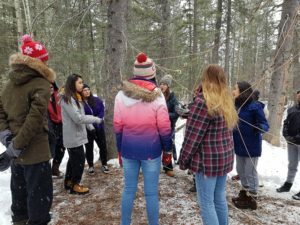 As “interaction without distractions”, it is a mix between an educational outdoor school experience and a safe learning environment. Through highlighting diversity and increasing knowledge of other cultures, attendees use this opportunity to share ideas and reflect on their learning. This was accomplished through activities, challenges and discussions, and working towards a final project that is shared online. Using a combination of empowering positive change and recognizing the multitude of issues that affect the environment, those attending the program gain a lot of value from the presentations and discussion. It even ties into real-world activities. The program runs annually, with next year’s registration starting in late 2019. VVS high school students are invited to attend and are emailed information about the program each year. 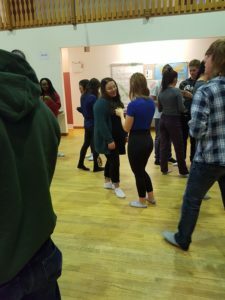 Students participated in an activity on different cultures and had to immerse themselves with students and cultures they didn’t know about, pick up clues as to what their culture idioms were, and report back their experience. The Spider web is where the group had to get from one side of the ”toxic web”’by passing/moving through the openings in the web. 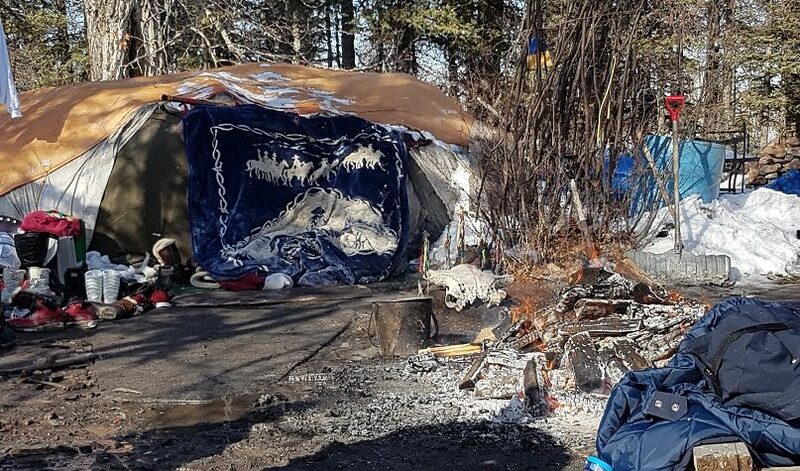 A Sweat Lodge was run by an Indigenous leader. A Town Hall saw all participants researching and presenting a perspective (the VVS student group’s topic was World Conservation Organization).